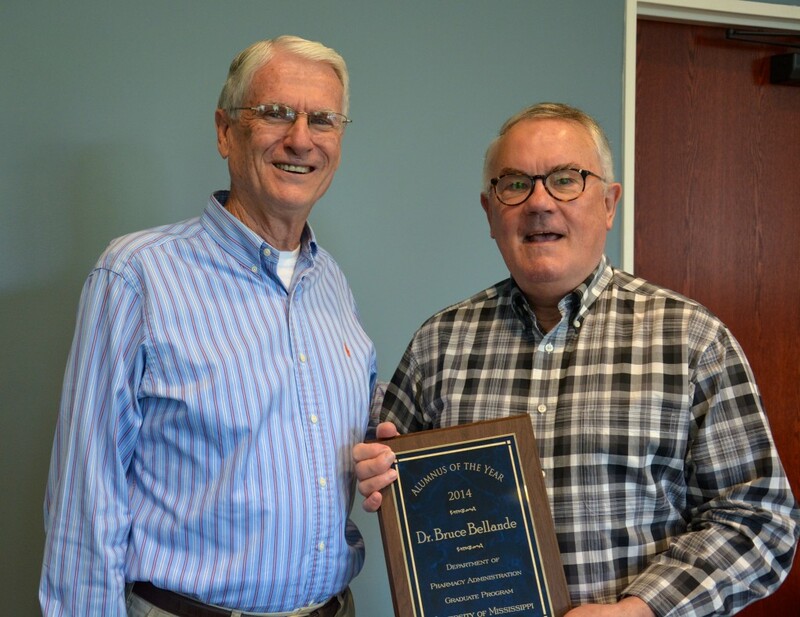 Dr. Bruce Bellande, Alumni of the Year, enjoys visiting with Dr. Dewey Garner at the award ceremony with the Department of Pharmacy Administration. 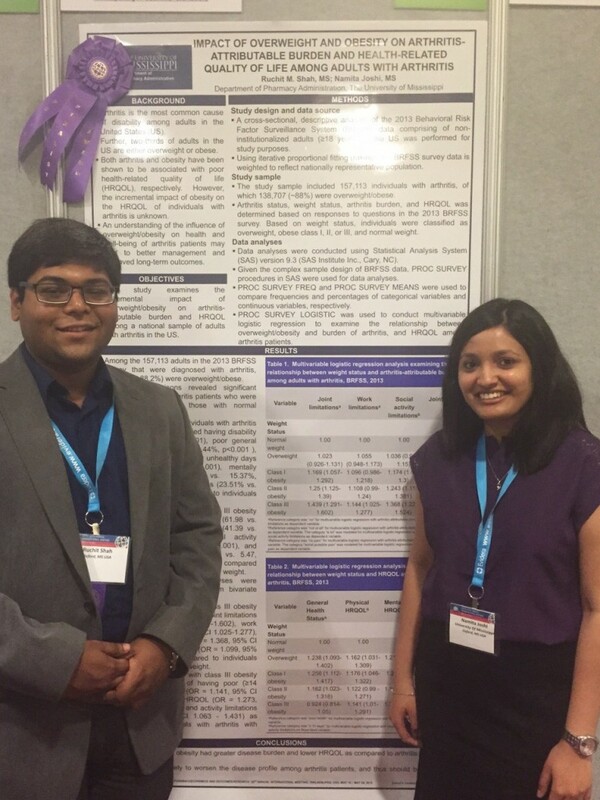 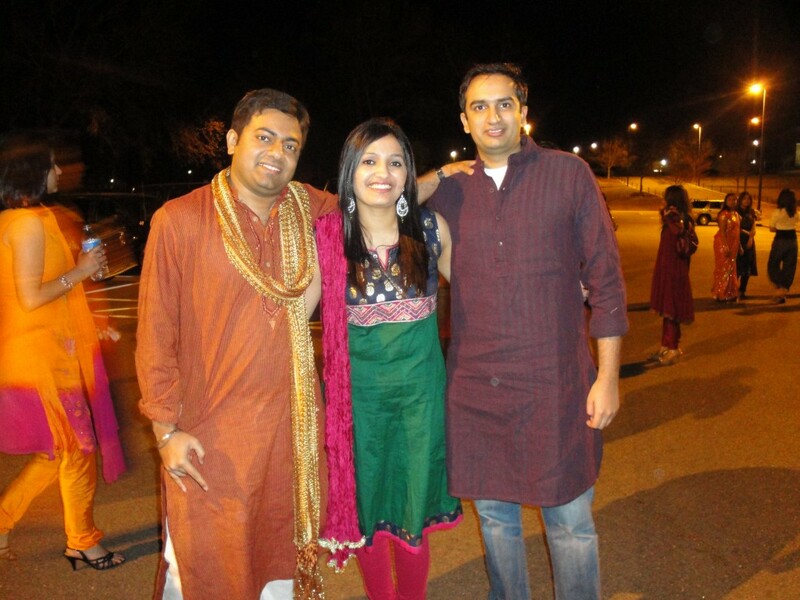 Pharmacy Administration Graduate Students, Ruchit Shah and Namita Joshi, are proud of the Best Poster Award presented at the International Society for Pharmacoeconomics and Outcomes Research Conference in Philadelphia, Pennsylvania, May, 2015. 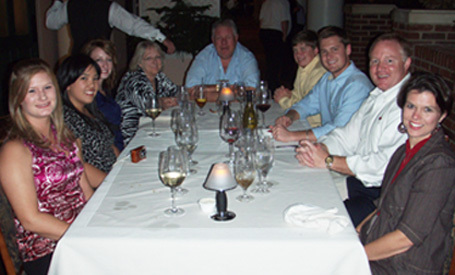 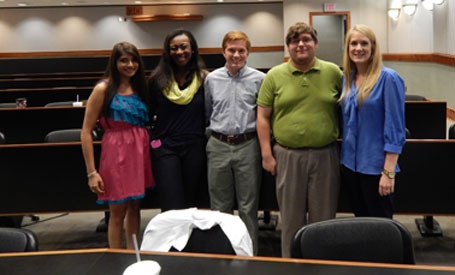 Dr. West-Strum and the NCPA Chapter welcomed Tiffany Diemer, PharmD. 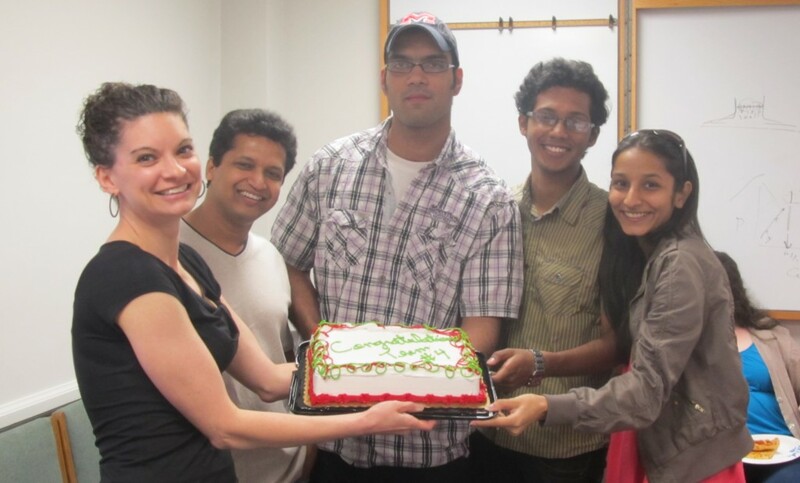 to campus October 3, 2013. 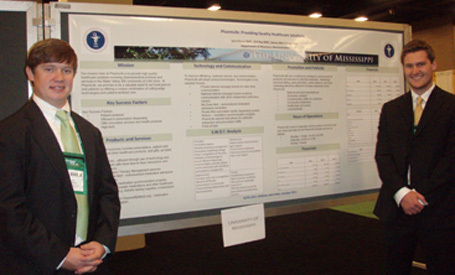 Dr. Diemer is currently a University of Tennessee community pharmacy resident and was last year’s NCPA Business Plan award winner. 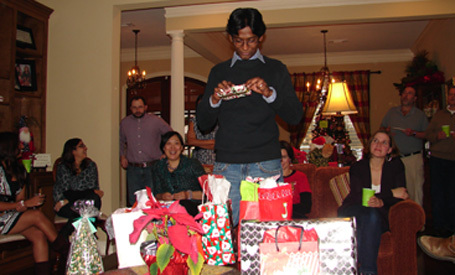 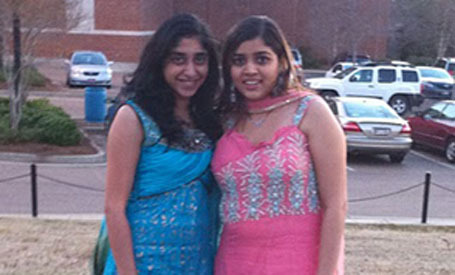 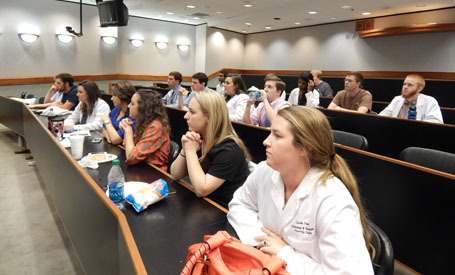 She met with the UM-NCPA chapter about community pharmacy residencies and entrepreneurship. 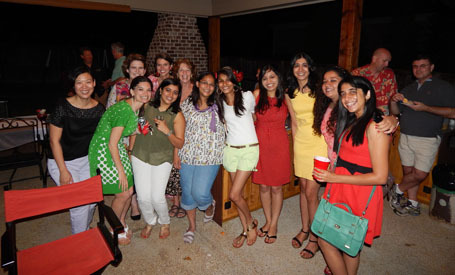 Pharmacy Administration Department has their annual “Back to School” party to welcome new students at the home of Dr. Donna West-Strum, August 6, 2013. 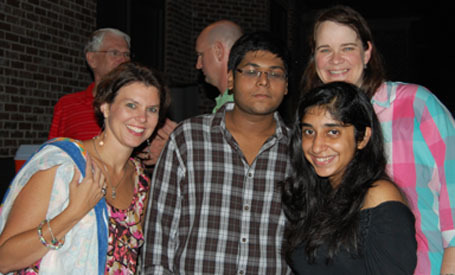 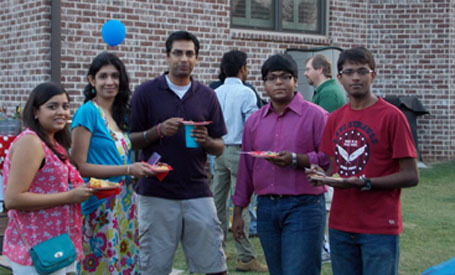 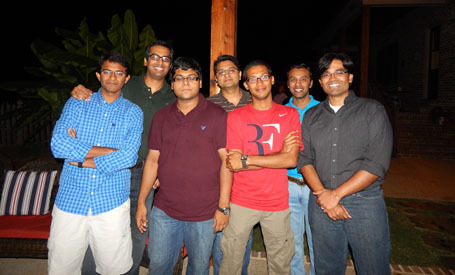 The PharmAd Department enjoys getting together every year in the beginning of the fall semester at their annual “Back to School” party, August 6, 2013. 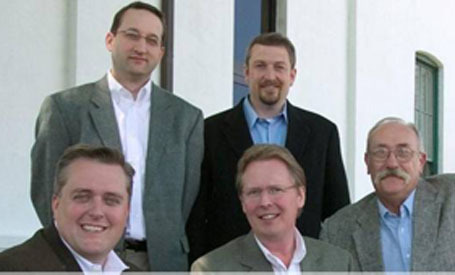 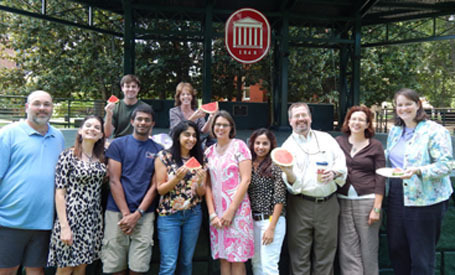 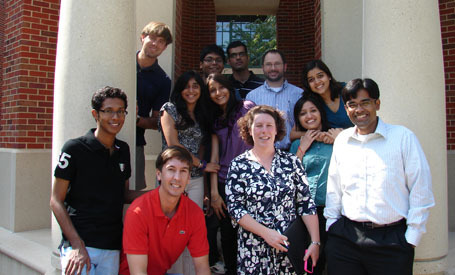 The Pharmacy Administration department gets together to enjoy watermelon in the Grove before the school year begins in the Fall, 2013. 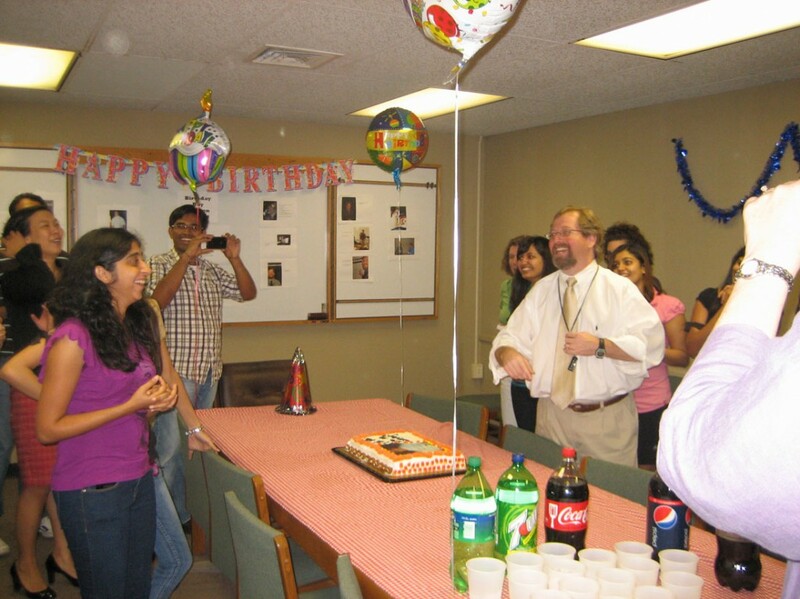 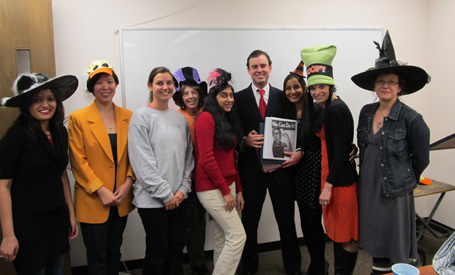 The Pharmacy Administration department celebrates the spirit of Halloween with a “Hat” party, October 31, 2012. 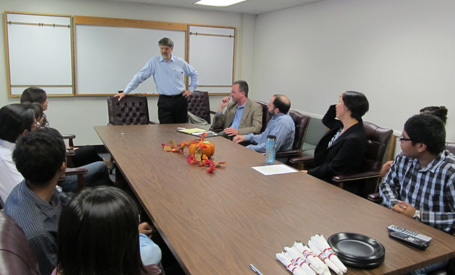 Pharmacist, Todd Barrett, visits the Pharmacy Administration department on October 25, 2012 to talk to the ISPOR Chapter graduate students about research opportunities in special pharmacy. 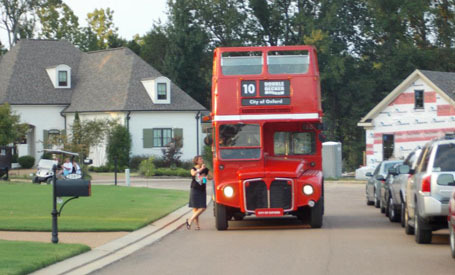 The Pharmacy Administration department boards the famous double decker bus for a fun filled tour of Oxford. 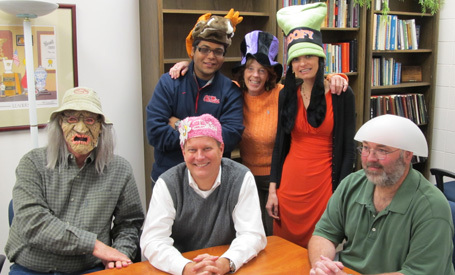 Once again the Pharmacy Administration department gets together to enjoy the Back to School Event welcoming all new PHAD graduate students to Ole Miss. 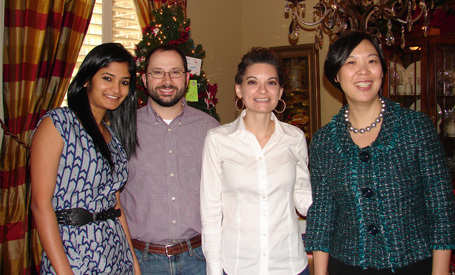 Evening of food and fun at the home of Dr. Donna West-Strum. 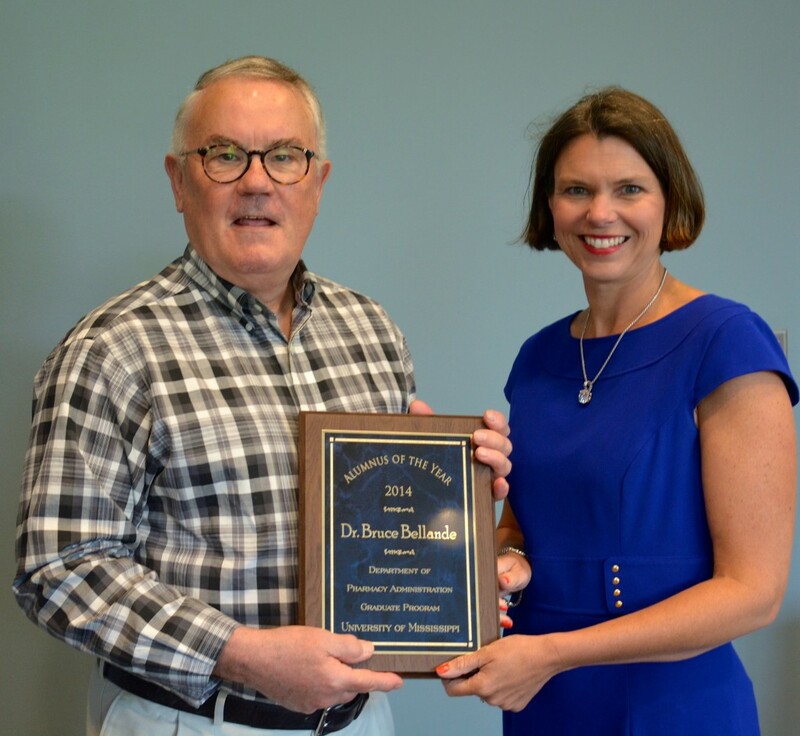 In April, 2012, past School of Pharmacy Dean, Kenneth Roberts came to the Ole Miss campus for Alumni Weekend to receive the Pharmacy Administration Alumnus of the Year Award. 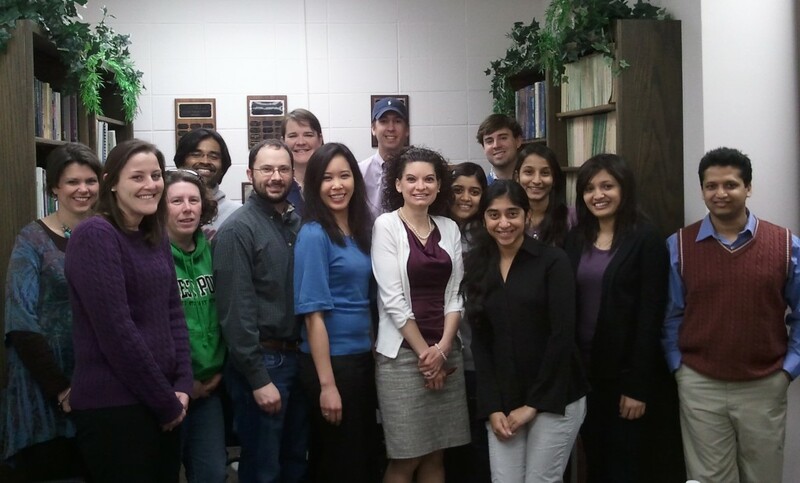 During this visit Dr. Roberts spent time talking with our graduate students about pharmacy issues. 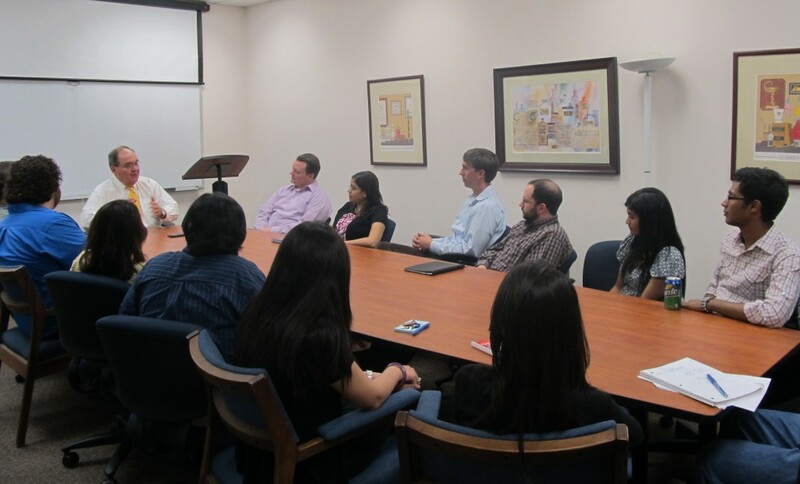 In March, 2012, past Phad Graduate, Suvapun Bunniran, visits the Pharmacy Administration department to share her new experiences as Associate Consultant with Trinity Partners in Waltham, MA. 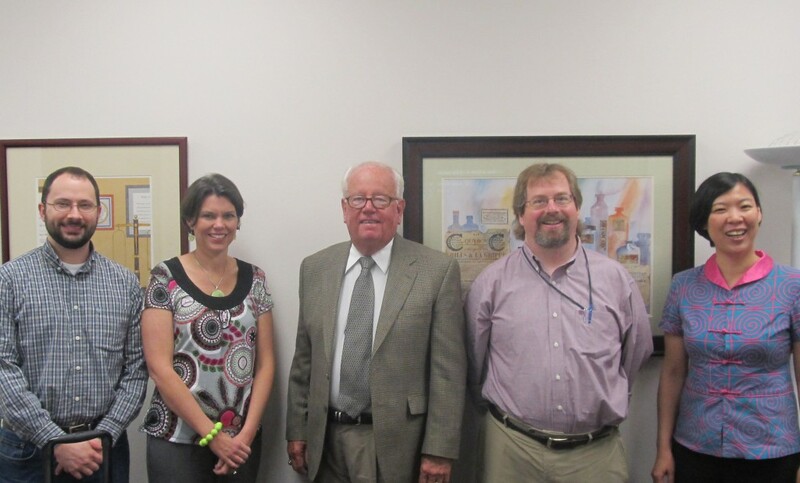 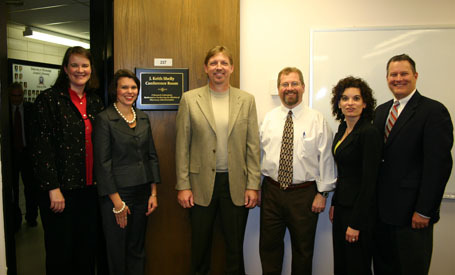 Richard Jackson, recipient of the School of Pharmacy Alumnus of the Year Award, came to visit with the Pharmacy Administration department in the spring of 2012. 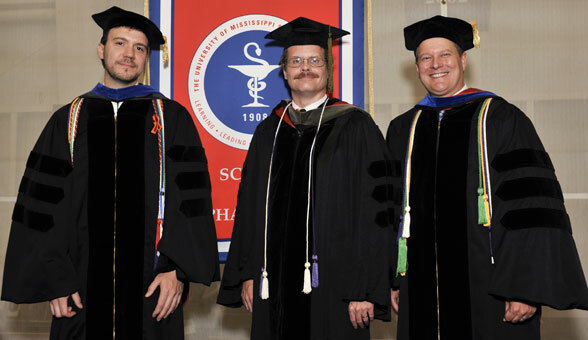 Distinguished Teaching Scholars – Dr. John Rimoldi (left), Dr. Gary Theilman (center) and Dr. David McCaffrey (right) pose for a photo following the pharmacy school’s May commencement ceremony. 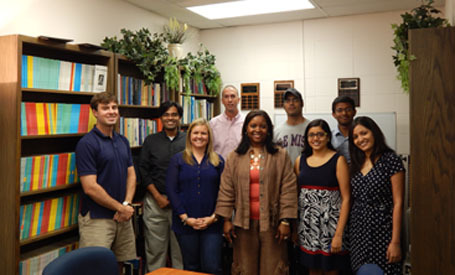 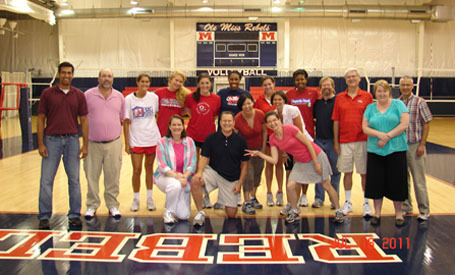 Faculty members in the University of Mississippi School of Pharmacy are recognized through the Distinguished Teaching Scholars Program, which rewards faculty for teaching excellence, dedication to student achievement and research on effective teaching and learning.